I wrote something earlier this week for our local school district audience highlighting the some of the community service I was seeing with our students. I will republish it here as although it is about our students in West Vancouver, it is really part of the story about the modern student. The modern student values academics but is really defined by being a passionate citizen. 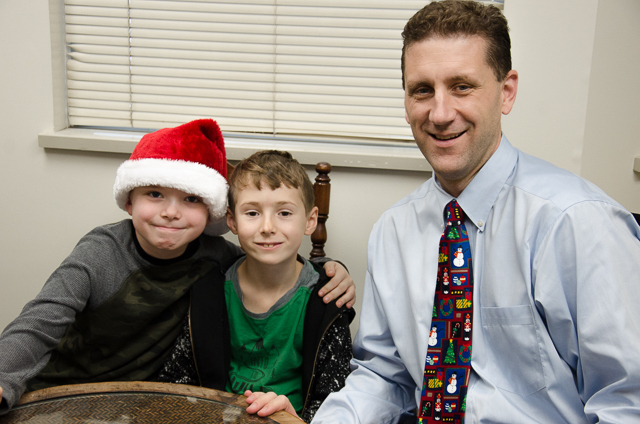 For this column, I met with two grade 2 boys who planned and executed a book sale to raise money for cancer research. 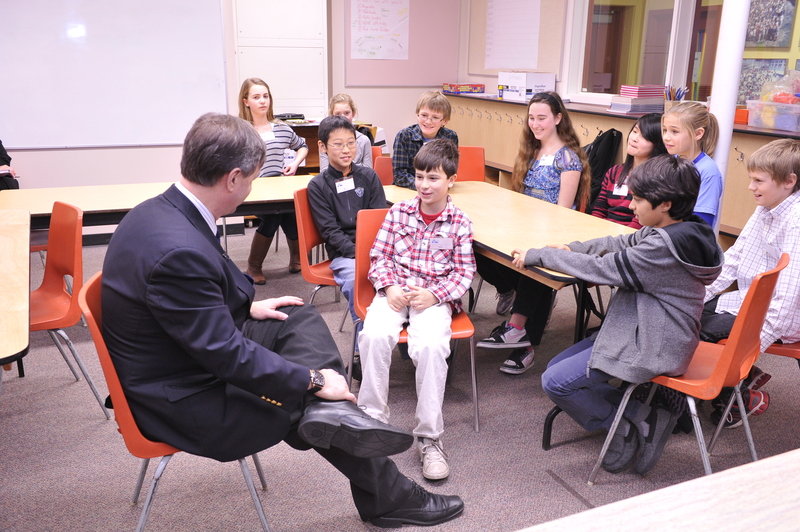 I also spoke with a group of grade 7 students who had found the amazing power of anonymous giving. Of course, these are just two of the dozens of similar stories across our district, and I know being played out across schools everywhere. Everywhere you turn at this time of year, people are engaged in giving and charitable works. In our schools over the course of the school year, students and staff also engage in projects, small and large, that contribute to local and international charitable efforts. Many of these projects are focussed around the holiday season or other special occasions, but a number of initiatives also take place year-round. While we often think of these efforts in terms of the benefits that flow to recipients, a growing body of scientific evidence demonstrates that acts of philanthropy strongly benefit the giver as well. To mark the season of giving, I’d like to highlight a few examples of this work around the district in this month’s column, and reflect on a few of the lessons that students have mentioned to me. On December 4th, Caulfeild embarked on a whole school inquiry, beginning with the question Through Empathy, can we better meet the needs of those in society? A representative from the Harvest Project visited the school’s assembly, held that morning, and students were shown a short video to provoke classroom discussions. The purpose of the inquiry is to move beyond “giving” and “awareness” to incorporate a meaningful understanding that not everyone’s basic needs are being met, and develop ways to support those needs. In addition to a special effort on behalf of Cops for Cancer earlier this year, the school is very proud of two boys in Grade 2, Daniel and Robert, who collaboratively planned, launched and led a book sale this month to raise money to donate to cancer research. The boys raised $583.15 from the sale, and when I met with them to congratulate them on their success, they told me about how their initiative has sparked others in their class to also engage in community-minded projects. Daniel and Robert said that they were surprised with how helpful everyone was through the process, but also learned just how difficult the planning can be for such a large initiative. Each year, the school studies a continent as part of a year-round project. 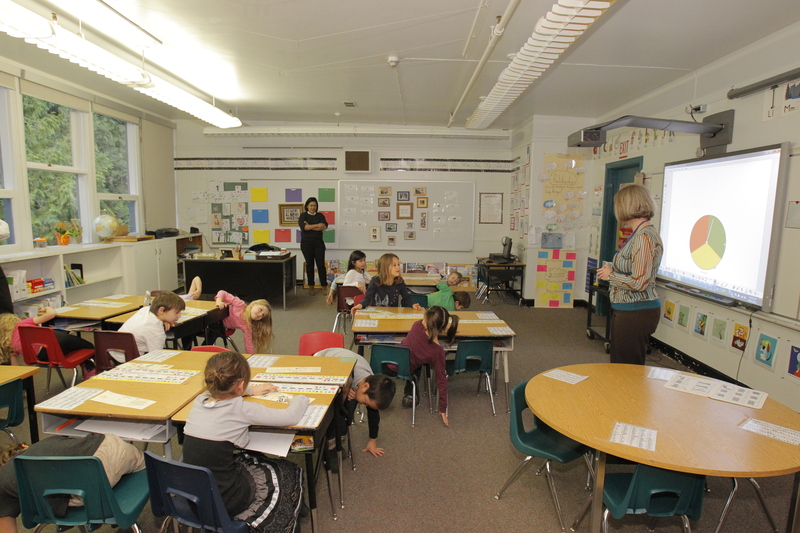 In September, each student in the upper elementary class researches a charity and presents their findings to the class. The class then votes to determine which charity the school will focus on for the year. To support the chosen cause or causes, students hold and organize their own fundraisers. Last year, as the school was studying South America, students raised funds for Free Kicks and the Galapagos Islands Trust. This year, with a focus on Antarctica and Australasia, students chose to support the Global Penguin Conservation and the Australian Wildlife Conservancy. Students at Irwin Park have been filling shoeboxes full of essential items for the Union Gospel Mission, part of its Day of Care in association with Me to We. This initiative also includes a pajama day and buddy activities to support younger students. Parents at the school have organized Santa’s Workshop, where families donate items and then students shop for their families to support the Grade 7 legacy fundraiser. Finally, the school hosted a loonie drive to support the purchase of a tree at the Dundarave Festival of Lights. All funds raised support the Lookout Society’s North Shore shelter. 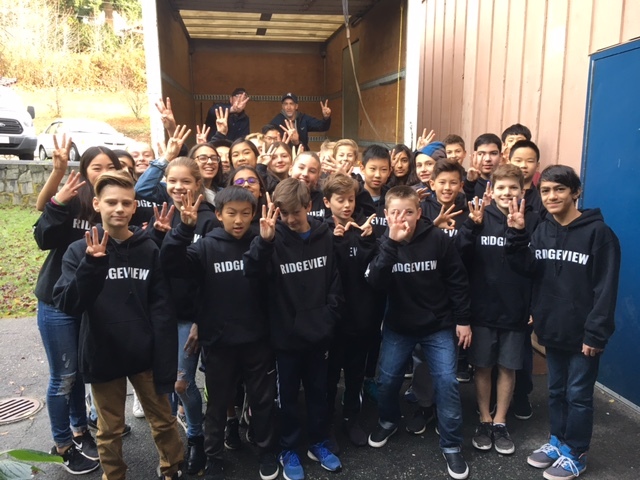 At Ridgeview Elementary school, the Grade 7 We Team, along with teacher sponsors Cari Wilson and Russ Paterson, spearheaded a food drive called the We Scare Hunger Campaign. All items collected were delivered to their sister school, Grandview Elementary, and some of the students even stocked the pantry at Grandview. This year, the group collected so much that they had to enlist the help of the district’s facilities crew to deliver the collected items. In addition a Grade 4 class at the school, together with teacher sponsor Amy Meldrum, launched its second annual sock drive, collecting more than 822 pairs of socks. The initiative benefitted babies and young children through BabyGoRound and all other socks went to the North Shore’s Lookout Shelter. One Grade 6 class at West Bay Elementary school maintains contact with a group of school children in Africa, sending letters back and forth. A Grade 7 student spearheaded a shoebox clothing drive for women’s shelters in Vancouver; he made announcements and collected clothing and toiletries from each division, packed the items in shoeboxes and individually wrapped them. The Grade 7 students at the school have all been involved in the We Scare Hunger campaign, collecting canned goods to benefit food banks. 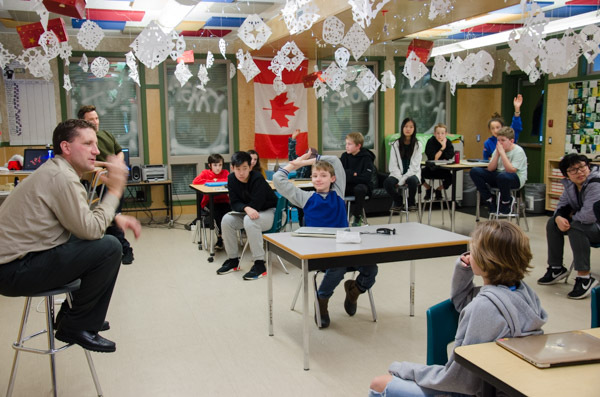 The four Grade 6 and 7 classes provide dessert for the Oppenheimer Christmas Dinner – between the two classes, they bake about 500 dozen cookies, which are donated to the residents of the Downtown Eastside. Parents get in on the giving action too, by putting together hampers for families in need. I had the chance to speak with Grade 7 students at West Bay about the “Joy Virus” they spread at Park Royal. The students in Mr. Darling’s class decided to pass on the “Secret Santa” this year and instead bring cheer to complete strangers at Park Royal. It was interesting to hear the reactions of students. They found great joy and fulfillment for doing good for others, without a typical reward attached. A number of them spoke about how they have also done recent random acts of kindness, not because they would get credit, but because they knew it would create joy for others, which in-turn warmed their hearts. It was a wonderful lesson in the power of giving. The descriptions above are just a few examples of the organized giving efforts in place at West Vancouver Schools. 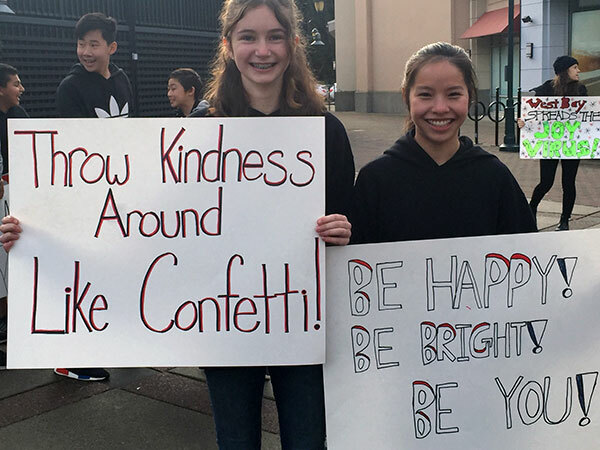 Many other charitable actions are taken by students in our other schools, and secondary students are also very involved, particularly as members of the many clubs that thrive on our high school campuses. Finally, our own staff gets in on the action every year, by supporting local charities with funds raised during the district-wide Holiday Party celebration. Staff members at our schools and sites donate items to themed baskets, and a draw is held to give away the amazing and beautifully presented donations. This year, funds will be donated to Out in Schools, a program that works with the education and non-profit community organizations to reduce isolation, foster belonging and increase the safety of learning environments for all youth. A second donation from the fundraiser will go to the Street2Peak project, an organization that works with some of our region’s most vulnerable at-risk youth, using physical fitness, outdoor pursuits and marathon training to turn lives around. I am very proud of the work being done by the West Vancouver Schools community to support those in need, whether locally or around the world. We each have a special gift, and I know that our community is a generous one. Thanks to West Vancouver Schools Communications Manager Bev Pausche for assistance with this post. 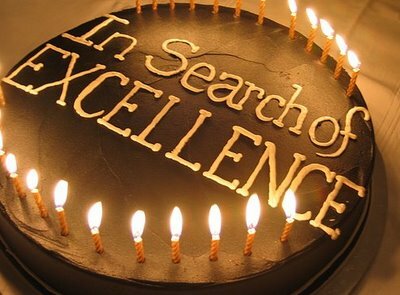 Each school and school district has their amazing stories about the people who are there, and it is particularly wonderful when those on the outside shine a light on excellence in the system. While there are many candidates who are deserving of an award, I would like to share the powerful and individual stories of three award winners from our school district; their stories are powerful, but the stories also transcend the winners, and speak to the wonders we see each day in our schools. 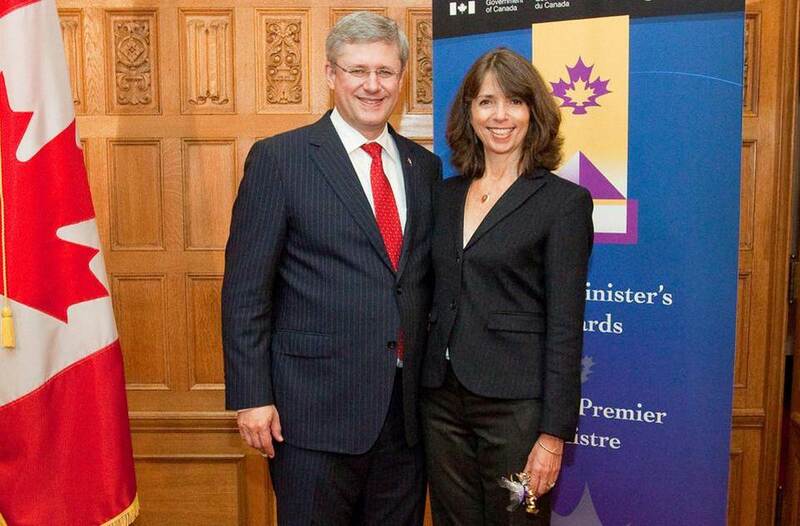 Arlene Anderson is a recent winner of the Prime Minister’s Award for Teaching Excellence. Arlene is always learning; she has made efforts to be familiar with, and lead, the use of noodle bib to help students create annotated bibliographies, wikis and voice threads. She has led staff in the development of scope and sequence for technology, and in understanding the importance of crediting the correct source, finding the original source of information, as well as understanding how to determine if the source is accurate or not. She is also a side-by-side teacher with her colleagues, as in working with a science teacher to teach students how to create a wiki, find correct information on the Internet and check sources. In this project, there were five classes: the first group of students wrote out their research on a wiki, the next group checked the sources/accuracy then added information, the third group also checked and added…etc., and when all five classes had spent time working on these wikis, they had created a powerful document on body systems. Each class had a group of students working on each topic. Arlene models the way for teacher librarians, at the heart of our schools, embracing technology to support students and their learning. Diane Nelson has been awarded one of Canada’s Outstanding Principals, as recognized by the Learning Partnership. Diane is the founder of the West Vancouver School District’s Premier Sport Academies, which include hockey, soccer, tennis, baseball and golf. Diane is a dedicated, well-respected advocate for today’s youth. 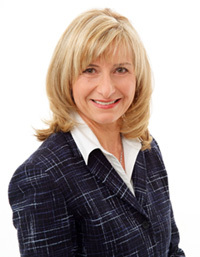 Along with her 28 years of experience in education as a teacher and administrator, Diane has obtained her Bachelor of Education, Diploma in Counselling Psychology, and Master’s degree in Educational Administration, all from the University of British Columbia. Caulfeild Elementary School received Honourable Mention, for the Ken Spencer Award that focuses on innovation in K-12 education. Caulfeild was selected from well over 100 applications for this recognition. Caulfeild has been on an intense journey over a very short time. Facing challenges of declining enrollment, and ongoing conversations about its school signature, iDEC was born — a commitment from students, staff and parents to create a school-wide innovative learning experience marrying the best of what we know about good teaching and learning, the student-centric approach of inquiry-based learning, and embracing the technology of the world of today. 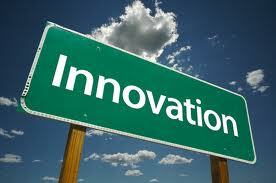 iDEC provides a digital environment that supports any technological device and platform. From Kindergarten to Grade 3, teachers are embedding student ownership into their digital learning, everyday, with the help of Smartboards and iPads. By Grade 4, students will be able to bring their own electronic device into the classroom, and student webpages will serve as a central area for their learning and participation, where they solve problems, are creative, and participate positively in the school community. With thanks to Principal Brad Lund, the entire staff, and the support of our parent community, Caulfeild Elementary is generating interest around the country for its innovative programming. When people first engage in the program, what they leave with is an understanding of what “‘power of the people’ can mean — and people are the key to this educational transformation. I see excellence in the school system everyday. The stories of Arlene Anderson, Diane Nelson and Caulfeild Elementary School are repeated across the district everyday. Public education in West Vancouver, and across the province is blessed with amazing people committed to doing great things for kids everyday. Cari Wilson, Teacher at Ridgeview Elementary School and Digital Literacy Resource Teacher for West Vancouver School District. Cari has been leveraging technology with her students for the past decade, finding ways to make content engaging and empowering students to own their own learning through various web applications. In her current role, Cari has spent time in every Grade 4 – 7 classroom teaching the power of “creating a learning network.” Learning networks are made possible through technology previously unimaginable; students can connect with other students, teachers, and digital content to help improve their learning understanding and opportunities. Cari’s tireless and enthusiastic approach has provided a glimpse for our whole district about what is possible when we tap into the “collective wisdom” of our learning network. It is work that is shifting our understanding of teaching and learning, and what can truly be possible with innovative practice and digital access. Martin has taught at Caulfeild Elementary School for the past 20 years, and currently teaches a Grade 6/7 class. Martin has always been a leader in the use of technology in the classroom, so it was natural for him to jump at the chance to become involved with a new program called iDEC (Inquiry-Based Digitally Enhanced Community). 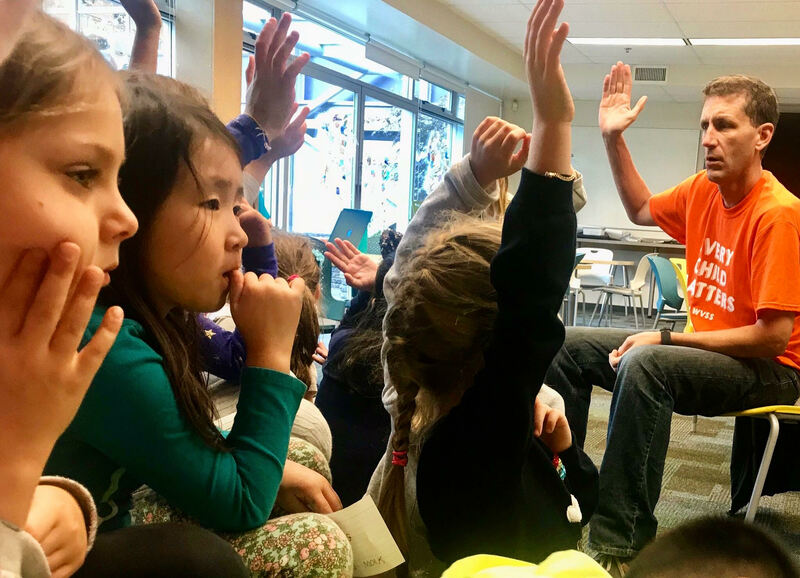 In his role as a lead teacher, Martin helped create an environment which employs Smartboards at the Kindergarten/Grade 1 level, iPads at the Grade 2/3 level and student-owned laptops at the Grade 4 – 7 level. Each classroom was fitted with a wall-mounted, short throw wireless projector and teachers were provided with technology appropriate to their level. Martin works tirelessly to train teachers, encourage students, and assure parents that what we are doing is making a dramatic and positive difference in student engagement and achievement. The program uses the Understanding by Design model to deliver curriculum enhanced by the latest digital tools, and also teaches the soft skills necessary for a well-rounded 21st Century Learner. We call these skills our S.U.C.C.E.E.D. Skills (Self-regulation, Understanding, Creative and Critical thinking, Cooperation and Collaboration, Empathy, Enthusiasm and Determination). Martin helps his students use the technology as an ethical tool to communicate. 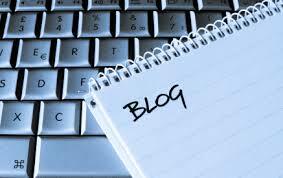 They also represent their learning with various types of technology under his tutelage. The iDEC program would still be a dream without Martin’s leadership. Arlene is always learning; she has made efforts to be familiar with and lead the use of noodle bib to help students create annotated bibliographies, wikis and voice threads. She has led staff in the development of scope and sequence for technology, and in understanding the importance of crediting the correct source, finding the original source of information, as well as understanding how to determine if the source is accurate or not. She is also a side-by-side teacher with her colleagues, as in working with a science teacher to teach students how to create a wiki, find correct information on the Internet and check sources. In this project there were five classes: the first group of students wrote out their research on the wiki, the next group checked the sources/accuracy then added information, the third group also checked and added…etc., and when all five classes had spent time working on these wikis, they had created a powerful document on body systems. Each class had a group of students working on each topic. Six teachers from West Vancouver Secondary School have undertaken an exploration into how technology can improve both instruction and learning. Specifically, these teachers have agreed to spearhead a 1:1 iPad initiative with a cohort of 28, Grade 10 students working in the subject applications for Mathematics, English, Physical Education, Social Studies, Planning, and Science. The teachers are exploring applications for the iPad in an attempt to find meaningful ways to collaborate, present content, reduce paper and communicate efficiently with students. Students use their iPad to explore, from a learning perspective, which elements allow for deeper and broader understanding, as well as creating a platform for personalization of learning. 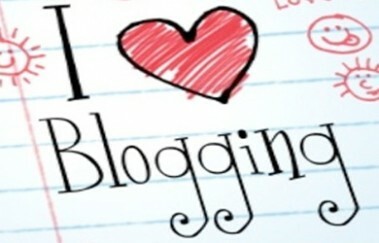 To date, many aspects of the initiative have been positive. As with any initiative, there have been minor stumbling blocks as all participants strive to find that balance between efficiency and expediency. What is so impressive about this group of teachers, and students, is their ongoing willingness to take a risk, try something new, and go back to the drawing board when all else fails. These are four wonderful examples from four different schools about how teachers are leading the way to improve student learning and engage young people with technology. Of course, a challenge of highlighting some of these achievements is recognizing there are similar stories in all our schools. We are exceptionally fortunate to have an amazing group of teaching professionals taking the best of what they know about pedagogy and marrying it with the tools of today for tomorrow. This past week the Honourable George Abbott, B.C.’s Minister of Education, spent a day in our district. It was another great opportunity to share a slice of West Vancouver’s public education story, and while I do cover many of our schools’ initiatives and learning directions through my blog posts, this time, I would like to share it through photos of the day spent with the Minister connecting with students, teachers, administrators, parents and others in our schools. I would also like to share what Dean Shareski described as “narrative champions”, telling our exciting, ongoing and ever emerging story. 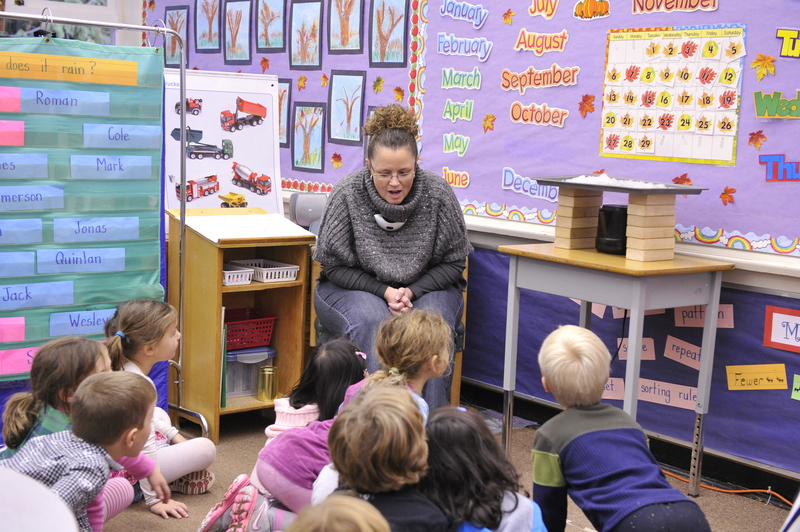 Albeit a small slice, it was a very representative slice of learning in West Vancouver. Different examples, often fulfilling the same narrative, could be found in all of the schools. 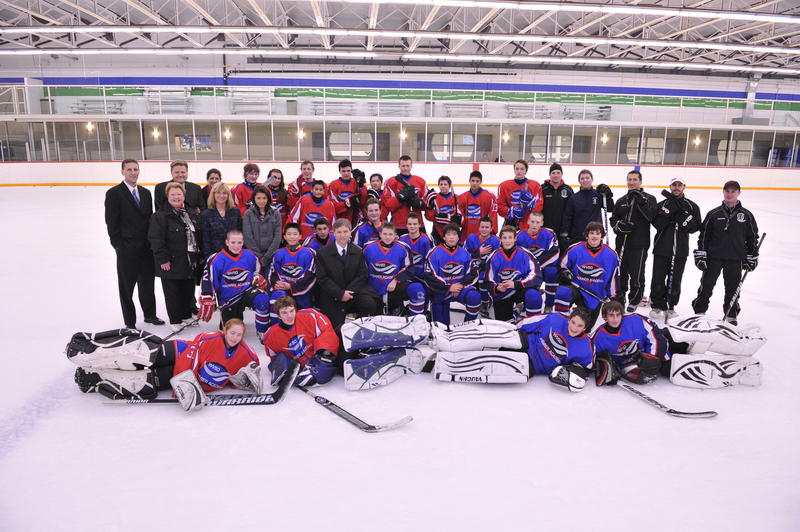 The West Vancouver District has had a long tradition of choice — in programs, and in learning opportunities within the programs. What has become increasingly important are inquiry, digital technology and self-regulation, and elements of all three can be found in all schools. We also know that a large part of our great story can be attributed to our outstanding teachers, supportive and engaged parents, and passionate students. But the most gratifying element of the visit was the outside voice reassuring us we are on the right track. Call it “21st century learning”, or “personalized learning” or “the West Van way” it can be seen in all of our schools.